Supreme Extreme Product - CTE Global, Inc.
Supreme Extreme is a multi-component glucoamylase containing de-branching activity, fungal α-amylase, and trehalase. The primary glucoamylase component functions by the hydrolysis of terminal 1, 4 linked alpha-D-glucose residues from non-reducing ends of polysaccharide chains with release of beta-D-glucose. Its application yields monomeric glucose molecules that can be fermented by yeast into biofuels of interest such as ethanol. The other glucoamylase component is a de-branching enzyme that breaks down starch into linear polymers for more efficient glucoamylase activity and prevents formation of resistant limit dextrins at branching points. 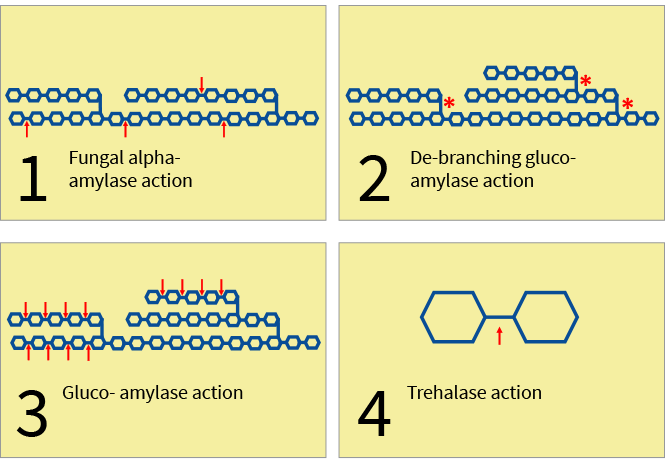 The fungal α-amylase portion breaks down amylose and amylopectin of starch to shorter chain dextrins and maltose for improved starch conversion. Finally, the trehalase can cleave the disaccharide trehalose molecule with a α-1,1 bond into two glucose molecules for consumption by yeast in fermentation to ethanol. Supreme Extreme should be dosed at 0.039–0.047% weight enzyme / weight as is corn. The actual dose required will depend upon each plant’s specific fermentation: time, initial pH, and the level of solids. 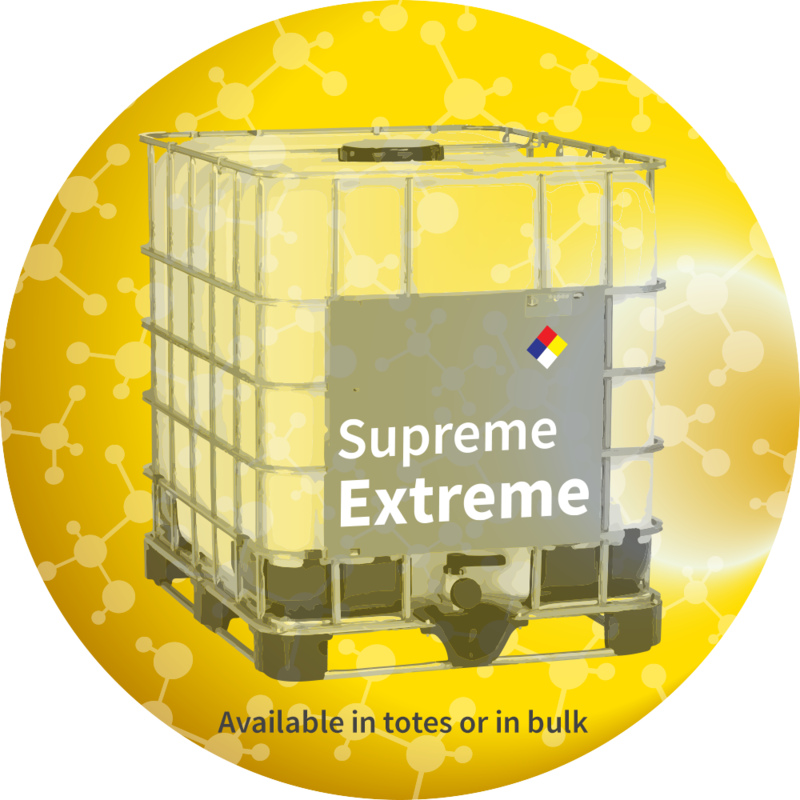 Supreme Extreme is available in totes or bulk tankers. Supreme Extreme will meet the declared activity upon arrival at the plant. Recommended storage 0–25°C (32°–77°F) Packaging must be kept intact, dry, and away from sunlight. Please follow the recommendations and use the product before the best before date to avoid the need for a higher dosage.